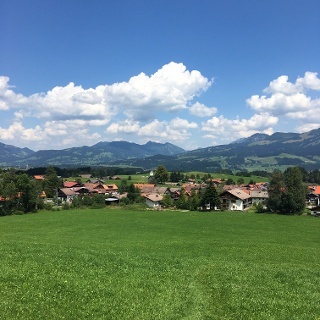 This fantastic tour can start either in Bolsterlang or Ofterschwang and takes you over the popular Hörner Panorama Tour along the Weiherkopf, Rangiswanger Horn, Sigiswanger Horn and Ofterschwanger Horn. The unquestioned hiking classic in the Hörnerdörfer is undoubtedly the Hörner Panorama Tour. With only slight ascents and descents, this hiking trail is also suitable for families with little hikers. At the end of June, early July, the Alpine roses bloom at the Rangiswanger Horn and turn the slopes into pink. You are in the Nature Park Nagelfluhkette. A Nature Park is a protected landscape created by long-term use and cultivation. This valuable cultural landscape is to be preserved in its present form, but at the same time also to be used. The unquestioned classic in the Hörnerdörfer is undoubtedly the Hörner Panorama Tour. With only slight ascents and descents, this hiking trail is also suitable for families with little hikers. 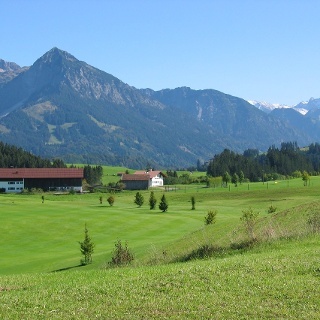 The tour can be started either in Bolsterlang, or in Ofterschwang. 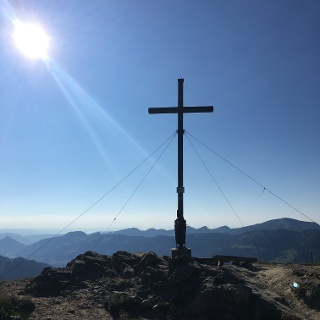 From the mountain station of the Hörnerbahn (1550), which can be reached by car or on foot, the steepest passage leads to the highest point of the tour - the Weiherkopf (1665). If you do not want to take the steep ascent, you can also take the opportunity to go across below the peak. 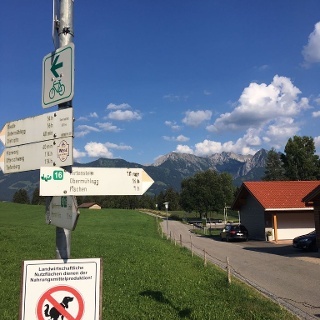 Following the panoramic trail, you can now bypass or climb the following peaks - Rangiswanger Horn (1612) - Sigiswanger Horn (1527) - Ofterschwanger Horn (1408). 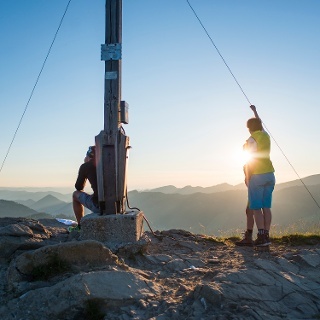 Best summits for a fabulous all-round view in the Allgäu Alps are the Weiherkopf the Rangiswanger Horn and Ofterschwanger Horn. 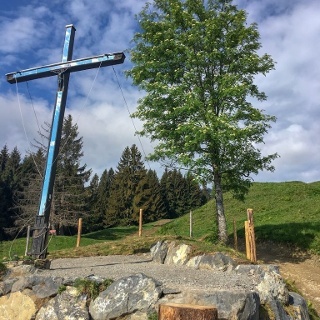 In Ofterschwang, you can take the cable car Weltcup-Express back into the valley, or take the panoramic trail downhill past Alpe Eck. 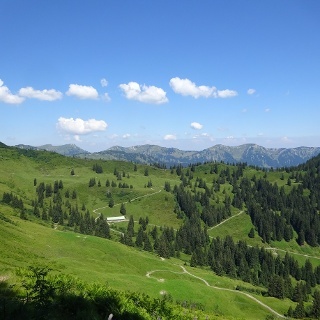 The return path from Ofterschwang follows via Sigiswang and Kierwang back to the starting point. Alternatively, you can also take the bus back, please check the departure times. Free parking at the Weltcup-Express base station in Ofterschwang or the Hörnerbahn in Bolsetrlang.